If you are having issues with a Delta faucet, troubleshoot it to find out what's wrong. Chances are the fix is something you can do yourself with little expense and in a short amount of time. 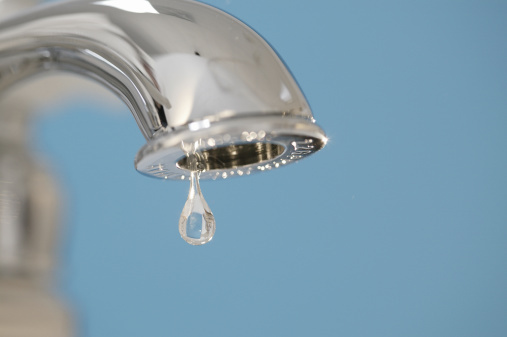 Whether the faucet is dripping constantly, or has a lower flow rate than normal, there is a solution. You will not need a plumber or special expertise to troubleshoot a Delta faucet either, just a few simple tools. Turn off the water by closing the valves underneath the sink. Take the handle to the faucet off by removing the set screw in the base of the handle with an Allen wrench. Pull the handle up and away from the faucet to remove it. Tighten the adjusting ring on top of the faucet by turning it clockwise with a pair of needle nose pliers. This tightens the cartridge to prevent leaking. Turn on the water again and watch to see if the leak reappears. If so, the cartridge adjusting ring is not the problem. Turn off the water under the sink and remove the bonnet cap on top of the faucet by rotating it counterclockwise with a pair of large pliers. Lift off the bonnet cap and remove and replace the parts inside the faucet. They consist of either a ball valve and stem or a single disc cartridge that is cylinder shaped. Replace the bonnet and tighten with a pair of large pliers. Turn on the water and test for the leak. If leak returns the problem is with the spout. Remove the handle, bonnet and cartridge. Slide the top O ring, which is a round rubber gasket, off the top of the spout. Lift the spout up and off the base of the faucet, and replace the O rings on the bottom of the faucet base. Replace the spout, install a new top O ring, replace the cartridge, bonnet and handle and turn the water back on to test the faucet.